Please find some links and notes from the 2 Regular Guys Podcast. We welcome back to the show Don Copeland from ColDesi to give us an in-depth review of the UV Printing technology available. We will discuss where this technology fits in our industry, what markets it is changing and what the future holds for UV Printing. Transfer Express Hosts Aug. 9 Webinar on Placement Techniques Transfer Express hosts an Aug. 9 webinar on placement techniques for heat transfers. The company says the session helps decorators boost profits by “streamlining production and reducing rejects.” The live, interactive class covers numerous placement approaches such as full-front, left-chest, sleeve, and leg transfers. The event also discusses the pros and cons of four transfer-positioning tools and explores unique positioning options to help shops stand out from the competition. The free session runs from 2 p.m.–3 p.m. EST. Office Messaging Wars are Over. SLACK HAS WON. LAST SEPTEMBER, THE software company Atlassian launched a new workplace chat app called Stride, aimed squarely at taking on the similar app Slack. “We’ve been thrilled by the excitement we’ve seen from the tens of thousands of teams who have adopted it as their communication platform,” the company gushed in a March blog post. Now, less than a year after the launch, Atlassian is pulling the plug on the product, along with its earlier workplace chat app HipChat. Atlassian said it will discontinue the two products by Feb. 15, 2019, and exit the communications business. Terry: Start us off with a quick rundown of what UV Printing technology is and it’s benefits to a decorator. –UV printing technology is inkjet printing that uses special inks – UV inks dry through a photochemical process. Basically, when ultra-violet light hits the inks they almost immediately turn to a solid. For our sake we generally speak about flatbed, UV-LED printers. Flatbed printers allow for the printing of dimensional items like cell phone cases, golf balls, acrylic awards, boxes – the list goes on and on, basically more than just flat, thin materials. Standard depths on small to mid-format, flatbed, UV-LED printers range from a couple of inches up to nearly a foot, with some optional depths to as much as 18”. “UV-LED” because the lamps used on the most current UV printers are LED instead of the mercury vapor lamps previously used. LED lamps use much less power and are far more durable, lasting on average 10-12 times longer than mercury vapor lamps. As an example, the expected life on our Compress UV printers is 20,000 hours of illumination, as opposed to less than 2000 on most mercury vapor lamps. So, the advantages of UV-LED printers to the end-user are extensive, and often limited to the imagination of the individual. Typical applications would be in signage, identification (name badges, nameplates, door signs, ID cards, etc. ), awards, plaques, novelty items, customization of manufactured items, custom box printing, any of a number of items made from wood, plastics, metals and other materials. A lot of ad specialties can be and are being decorated in full color with UV-LED printers. Basically think of it as digital, full-color pad printing. It also is a better solution to decoration than sublimation in many cases. Aaron: So how might it fit into our regular listeners business? 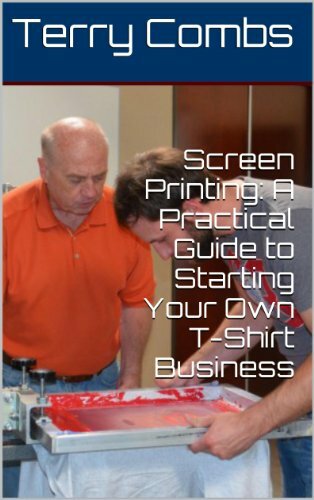 T-Shirt Screen Printers or Direct to Garment users. –As you both know, the days of identifying ourselves based on one decoration method or product type are waning. More and more of the customers in the market are looking for one stop shopping and the more methods of embellishment you offer on the greatest number of substrates, the greater your opportunity to grow your business. For existing customers, it offers you more revenue opportunities with minimal effort as you already have a relationship established. From a new customer standpoint, it can open the door to your core decoration method for that client that you might not have been exposed to without the UV-LED printer. The customer that is coming to you for t-shirts likely has needs for signage for events, giveaway items or novelty items with the same artwork you are already printing for them. Sports teams that get their jerseys and caps from you need trophies and plaques as well. The roofer that order’s his worker’s shirts from you would be more than happy to get printed site signs with his company name, logo, website and phone number. You get the idea. Great add-ons to your existing business. 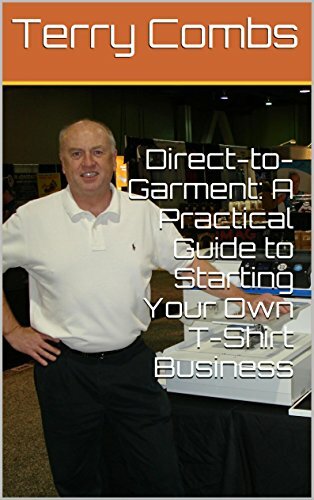 Direct to garment printers especially, will find the process very straightforward as the printers and the software used for DTG and UV are very similar. Terry: Tell us about some of the markets and market segments this technology is growing in, and how its even replacing some printing technologies. -One of the biggest growth areas we are seeing is in the sign industry. About 16-17 years ago the market for four-color outdoor signage radically changed with eco-solvent inks becoming available for large format printers. Today, most full-color Coroplast signs are printed with eco-solvent printers. The process involves printing to vinyl, allowing the print to outgas overnight, laminating and then mounting the printed vinyl to the sign blank. Ink/vinyl costs are typically in the $2.50-3.50 range per two-sided sign plus the costs of laminate if applied and of course the costs of labor. The same sign, printed on a UV-LED printer like our Compress iUV-600s would cost roughly $1.50 in ink to print with no cost for vinyl, laminate or labor. Simply place the sign into the printer, print and deliver to the customer – same day service that you can’t offer with eco-solvent printing. But, the truth is that these days that many graphics operations have already added an eco-solvent printer – so it is not just a sign shop thing anymore. -The trophy and awards industry I another huge growth market, a lot of the same materials that have traditionally been laser engraved or sublimated can now be done in full color including white – allowing for nicer products that demand higher price tags. -A lot of companies that we refer to as boutique manufacturers are looking to UV-LED printers to grow their businesses. A lot of these companies make their living on places like ETSY where they may sell rustic signs on wood or metal, customized tumblers, coasters, tiles, Christmas ornaments and the like. Many of these items have previously been done by hand or via some sort of transfer process. -Any company that offers ad specialties like pens, USB drives, rulers, bottle openers, envelope openers, calculators, cell phone cases, earbud cases and so on – can now bring short-run, full-color embellishment in-house. -Though not directly in our industry, we are seeing a lot of manufacturers bringing UV-LED printing in-house to print on the items they make. This could be product ID, safety warnings, bar-coding, control panels or dials – the list seems to grow every week. 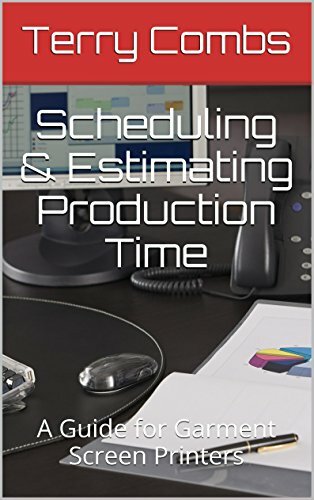 Aaron: What are some of the biggest niche markets/segments the UV printers are serving? –Our largest segment would ad specialties companies, followed closely by anyone using lasers for decoration. Interestingly, manufacturers would be our third largest segment. Many companies are now starting to offer “mass customization” to their products to help extend their range. UV-LED printers allow for quick turnaround, high quality, short-run production that can increase margins 20-30% or more over non-customized items. Terry: Are there safety concerns for operators or end-users? -Similar to eco-solvent. The inks are a bit more aggressive than the water-based inks we are used to in the DTG marketplace as are the cleaning/flushing fluids. The lights are intense UV-LEDs but the end-user would have to try pretty hard to look directly into them. Adhesion promoters and surface cleaners can be skin irritants and also give off some strong odors so many folks opt to install a ventilation system in the area where the printer is being used. Terry: Tell us about what you see in the future for this technology. Where is it heading and what changes are coming? –Similar to the DTG industry I see the inks evolving over the next few years. Currently, there is a trade-off between the flexibility of the printed ink and adhesion to a good number of substrates. Basically, if you need your inks to be able to flex on items like leather or plastic binders you may find that the ink doesn’t adhere well to acrylic or some metals. A number of manufacturers are working on more versatile inks so there is not a need to choose between rigid or flexible printing. Good news is that when this technology matures, it will be an ink change, not a printer change. –I believe we are in the early stages of widespread UV adoption. As more and more graphics business look to extend their range UV is a logical next step. As more and more manufacturers bring UV printing in house, smaller manufacturers that cannot justify the equipment costs will be looking for providers of UV printing to embellish their manufactured goods. Aaron: Where can people find out more information about your company and get in touch with you to learn more?